There are estimated to be over 800,000 chicken keepers in the UK, 10 million keepers in Europe and 7 million in the US. Chicken keeping has been part of our lives for thousands of years but the idea of having your own hens faded as battery hens became the norm. But now keeping a small flock or just one or two hens as pets is on the rise. And it is for a multitude of reasons. Here we have a look at some of the reasons and we will post again shortly to cover more. 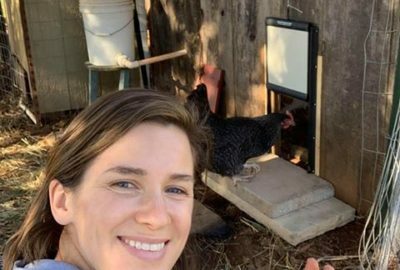 ChickenGuard, producers of the ChickenGuard automatic coop door opener and the world’s first, self-locking door kit, are helping to make it achievable even for urban workers. ChickenGuard’s own research has looked at the reasons behind the rise. The ChickenGuard automatic coop door opener shows how technology is playing a part. Chicken keepers don’t have to dash home at dusk to close the coop and keep their hens safe from predators, and they can even get a lie in as the door opens automatically in the morning. 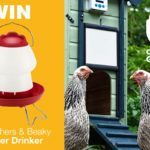 The results of the survey, alongside ChickenGuard’s customer and social media comments, are intriguing with some fascinating insights into why, for so many, chickens have become a crucial part of a stress free life. 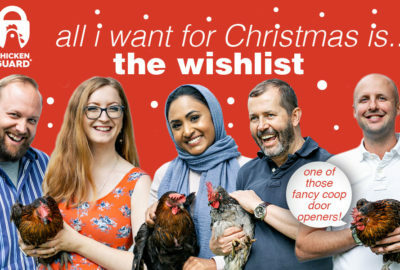 There is one real pull that entices newbies into keeping chickens for the first time – that’s the eggs. There is an ever growing trend for organic and free range produce, to know the source of our food (“farm to fork”) and for local produce that doesn’t have the miles clocked up on it. Freshness and localness not only provide quality but they aren’t standardised and they have a fuller flavour. Chicken keeping provides an alternative to the mass produced products and food that is part of 21st century living. 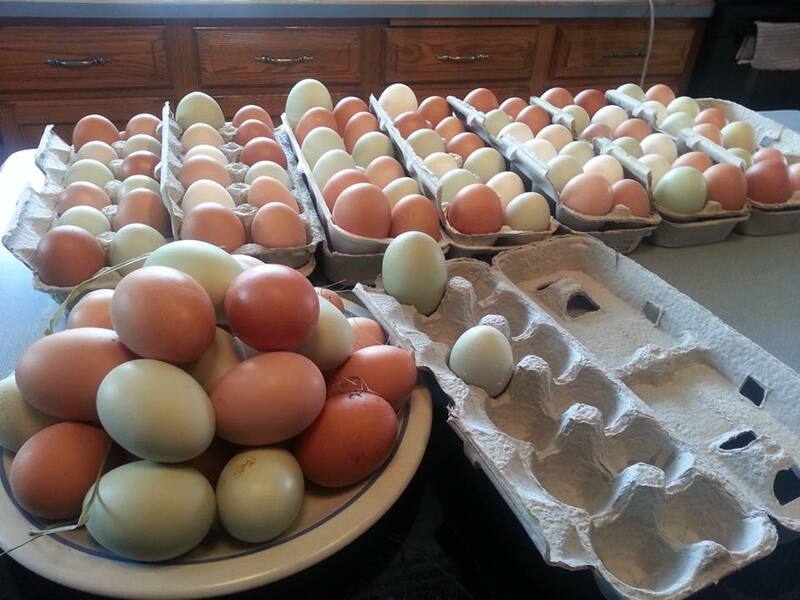 Just keeping one or two hens provides the opportunity to have your own eggs, daily. And of course they are not just any eggs, but your own fresh, free range eggs from your own hens. Surely that can’t be bettered! In our survey over 90% of our chicken keepers said that eggs were a reason for keeping chickens. The eggs provide the inspiration. Chicken keeping provides a little bit of the “good life” that so many people crave, a feeling of being closer to the earth, and closer to our animal friends. Our survey, our customers and our social media comments offer some further less direct reasons for the rise in chicken keeping. What has become apparent over recent years is that chickens are being viewed as pets. They are moving up the pet, pecking order. 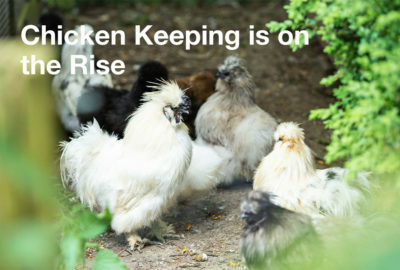 Our survey backed it up with 67% of our survey respondents saying that they keep chickens as pets. With a significant 41% saying for garden control too. The comments and discussions we have with our customers and on social media demonstrate this. Like cats and dogs, each chicken has its own character. They can be friendly, cheeky, mischievous, quarrelsome, or all of those rolled into one. They need care. And most of the time they enjoy a bit of human company and a treat or two! Unlike cats and dogs, and with those eggs in mind, they might be termed a utilitarian pet. ChickenGuard run regular competitions and promotions. These are popular but not just for the prizes. Chicken keepers just love to get involved in their hobby and to share the love. So our Valentine’s Day competition saw us receive photos and messages and post a Valentine’s photo album. 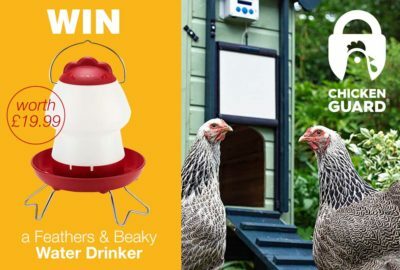 And our Best Chicken Names Ever Promotion illustrates the closeness of the keeper/hen relationship: there were hundreds of entries with names like Radu the Handsome, Mensa and little Pirate, some of our favourites. It’s this relationship with their hens and the hens’ character that is making chicken keeping more popular. 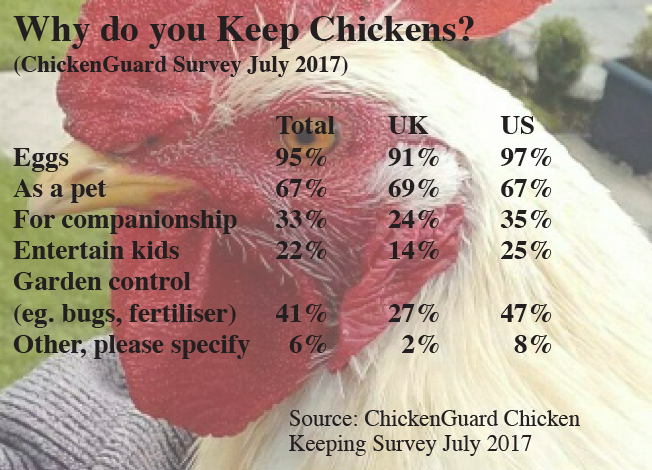 Our survey confirmed that chickens provide great companionship, with 33% of respondents giving “companionship” as a reason for keeping their hens. 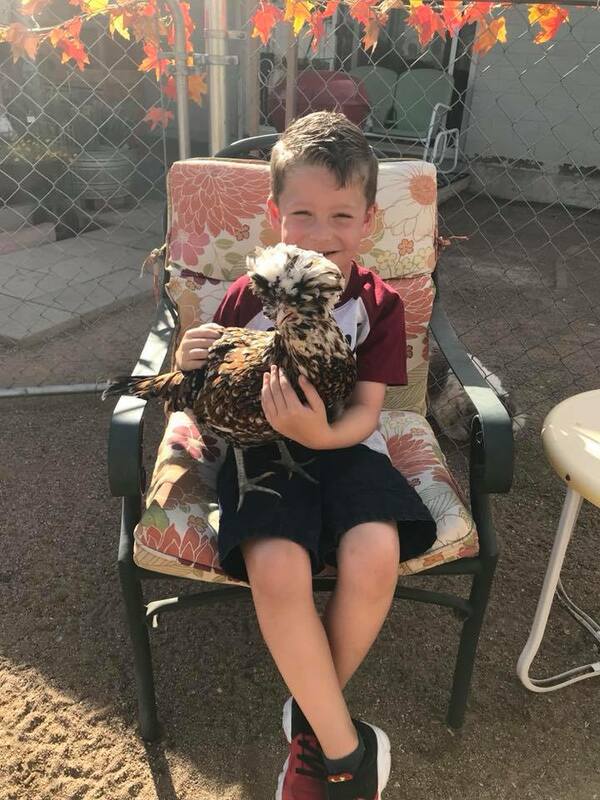 Chickens make great companions for young and old! Part of that companionship is the routine and care that comes as part of the contract made with yours chickens. They rely on you and they need regular care and attention. There is a very definite routine. Keeping them is good for you and good for your soul. It is why chickens are increasingly kept at schools, at care homes and even at prisons. The routine is good, the connection with the animals is good and the characters are fun. It is a natural “de-stress”; just watch those chickens play around, pecking and clucking.